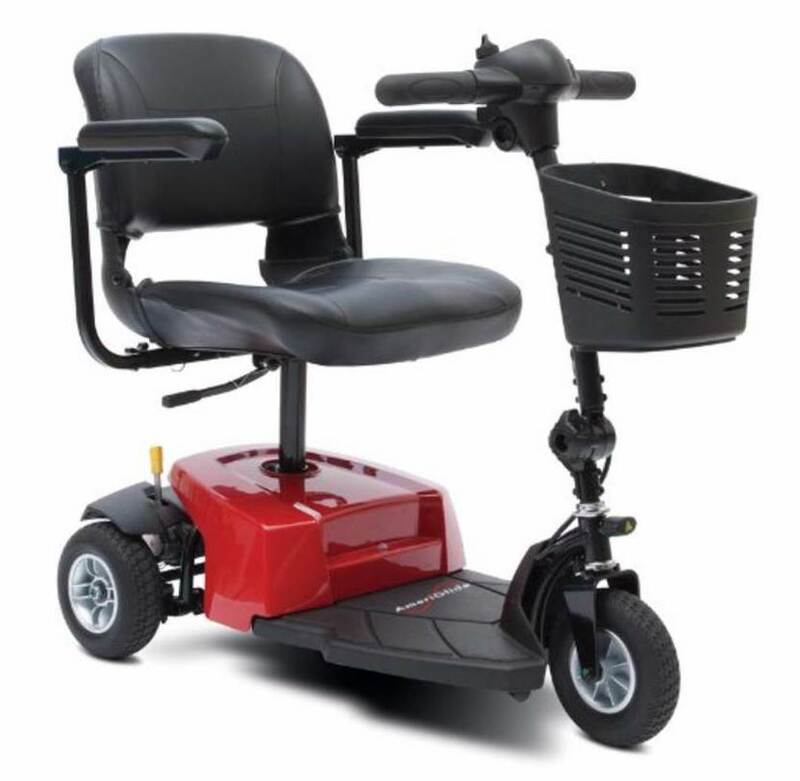 AmeriGlide's Traveler mobility scooter is an exceptional value and easy to load and unload for transportation. How easy? The Traveler weighs less than 100 pounds fully assembled with batteries and quickly disassembles into lightweight pieces that makes it even easier to load into the back of your vehicle or trunk. With a weight capacity of 275 pounds and a modular design that makes service easy, the Traveler is the choice for low cost, convenient scooter use. Run around Granny from Apache junction az would recommend this to a friend. We love it. It is small and easy to get around. Battery life works great, breaks down into several components and is easy to transport. Not found an issue yet. Very reliable. jrbino from quincy, Ma would recommend this to a friend. Lightweight, short turning circle, very easy to manuever. Brake is slow to engage. This is our third Pride scooter. We are very pleased with the dependability of Pride products. Andrew from Avon, Indiana would recommend this to a friend. Just came home from the hospital in a wheelchair and our bathroom doors are too narrow for wheelchair access. This mobility scooter has been a perfect solution for Andrew to use around the house to get in narrow areas and get into our bathrooms. It is easy to use with plenty of power. We will be widening our bathroom doors but until then this scooter has been wonderful. Andrew likes it so much I am sure he will continue to use it after our doors are widened! 4 Medical Supplies from Raleigh, NC would recommend this to a friend. Very quick and easy to disassemble. Breaks down into 5 parts. Weighs less than 100lbs. Also, don't forget about the price, this is one of our best valued scooters. Only has 275 weight capacity. Not the biggest and fastest scooter available. For the price, this is the best scooter that we have available.